His professional career began at the Export Division of Nissan Motor Co., Ltd.
After 10 years of working in Nissan, he joined the Sasakawa Peace Foundation (SPF) as a program officer engaged in rural development activities partnering with various NGOs in Southeast Asian countries. He was promoted to Administrative Director of SPF, taking charge of the management of the foundation and the external auditing of grantees. After leaving SPF, he assumed the position of Secretary-General of international NGOs engaged in providing humanitarian assistance for refugees. 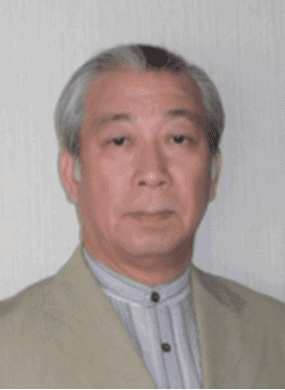 He is a core founding member of the Japan Platform, Japan’s largest consortium of humanitarian NGOs. He also gave a special lecture to His Majesty the Emperor Akihito on the refugee issue in 1999. He established the NGO “Vansemberuu-Mongolia” in order to implement a project entitled “Promotion of Traditional Medicine in Mongolia” in conjunction with The Nippon Foundation. Due to the project’s success in contributing the improvement of public health in Mongolia, he received the award, “Honorable Achievement in Primary Healthcare” from the Health Minister of Mongolia in 2009 and awarded a decoration of NAIRAMDAL (Friendship) from the President of Mongolia in 2014. He was engaged as a part-time instructor at Faculty of Law, Waseda University in Tokyo from 2000 to 2011. He is a facilitation expert qualified by the Institute of Cultural Affairs, a UN ECOSOC member NGO. He joined The Nippon Foundation in April, 2011 and assumed his post of director of the International Program Department. In June 2015, he was appointed his current post of executive director of the foundation.